Two GP surgeries in Lancing and Sompting have been recognised for their work in improving services around mental health in primary care. New Pond Row Surgery in South Street, Lancing, and Ball Tree Surgery, in Western Road, Sompting, were among 12 GP practices to be presented with a PACESetter Award by Worthing-based charity Coastal West Sussex Mind and the local NHS at a celebration event in Arundel on Wednesday. The award is given to surgeries which make changes that mean their practices are more mental health friendly. 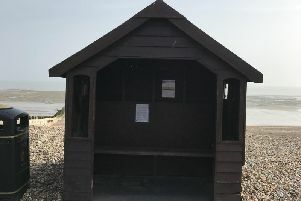 The initiative has been developed by a partnership between Coastal West Sussex Mind and Coastal West Sussex Clinical Commissioning Group (CCG) and is funded by Health Education England. Each GP practice was given £1,000 to help them achieve the award. GPs from each surgery spoke at the event about how they had approached making improvements for both patients with mental health problems and staff. Dr Debbie Lawton from the New Pond Row Surgery said patients with mental health problems told them they wanted a quiet space away from the main waiting room. She said: “We had noticed one patient in particular who was pacing around, holding his head and seemed very agitated. “When we spoke to him, he explained there was too much talking, the radio was bothering him and it was overwhelming. “So we’ve now started playing relaxing music instead and have two quiet areas away from the waiting room. “The next time he came in, he gave me a double thumbs-up to show his approval. “I’m sure those simple changes have been beneficial to many more of our patients too. “To help our patients with chronic diseases, we now ensure we ask them how they are doing. “If they are not feeling good, we ask them which doctor they prefer to see at New Pond Row and we then arrange an appointment with that GP for them to discuss how they are feeling and any worries. Coastal West Sussex Mind is now working with Public Health England and the national charity Mind to look at opportunities to spread PaceSetter further.